Forget that heady 'incensey' smell because these have more quality fragrance per stick. 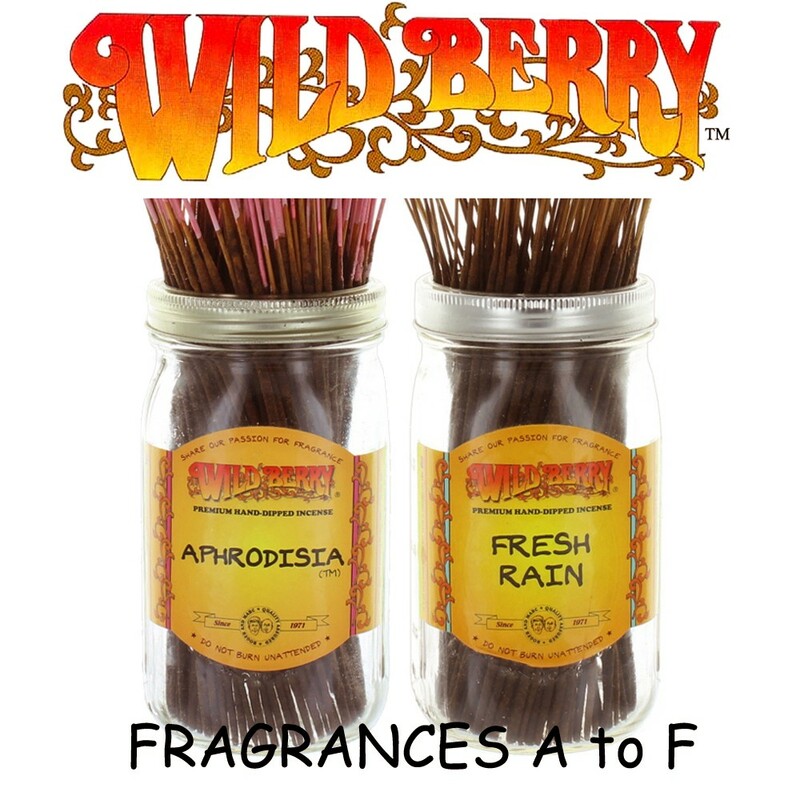 Wild Berry Incense actually smells as good when it's burning as it does 'raw' (before burning). Burn time approximately 1 hour. Over 90 fragrances in the range! Wild Berry Incense is a high quality premium grade incense. Hand-dipped in the very finest scented oils in the USA with more fragrance per stick and special fixative methods to keep the scent fresh and long-lasting. Forget that heady 'incensey' smell because these have more quality fragrance per stick. Wild Berry Incense actually smells as good when it's burning as it does 'raw' (before burning). Burn time approximately 1 hour. Over 90 fragrances in the range! Also available as BULK PRICE item (pack of 100 sticks of one fragrance).